As you are aware, Google has launched Pixel 3 and Pixel 3 XL smartphones on-time. The brand has not only launched these gadgets with its own Notch design but it has also launched few other worth products to check them. Would you like to know what Google has launched other than Pixel 3 smartphones, today? 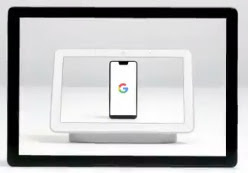 If yes, they are nothing but Pixel Slate and Google Home Hub with incredible features. These gadgets can be bought from Google Store. If you are interested to know about Google Home Hub and Pixel Slate devices then wait for it and we would update them soon. Time being, you can check Google Pixel 3 and Pixel 3 XL smartphone launches detail. Stay tuned for more updates of Made by Google gadgets.